Dan showcased at an all new very successful Wedding Show in Cork to start the year for 2019! 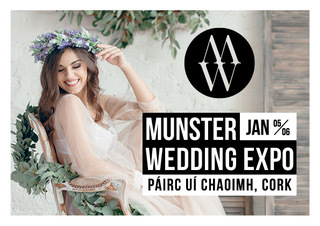 The Munster Wedding Expo was an all new venture by Cork Wedding Centre for 2019! The Expo took place at the state of the art Páirc Uí Chaoimh on Saturday 5th and Sunday 6th January 2019 from 12 noon to 5pm. Dan performed throughout the two days from his stand and met lots of newly engaged couples and helped to answer any questions that they had regarding their big day!